What is the TBC Spoken Edition? The Bakersfield Californian is now offering a new way to get your local news and information, delivered to you every morning along with weather and event updates for free. Every day, you will have a new way to preview your Bakersfield news that you can listen to while making your breakfast or morning coffee. 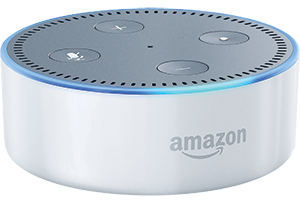 To enable the Alexa skill, simply say, "Alexa, enable The Bakersfield Californian"
To listen to the latest update, say, "Alexa, what is the latest from The Bakersfield Californian"
Note: The TBC Spoken Edition is also available as a Flash Briefing skill. Looking to hear the BVarsity update? Want to sample the latest update? Have feedback or need help? Email us now.